While this isn’t technically the first song played on this port, the song displayed is the first track I ever played on a Rockboxed DAP way back in 2006. 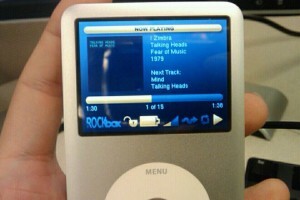 My first Rockboxable DAP was the iPod Video 5.5G, 30GB. This is just soooo AWESOME!! 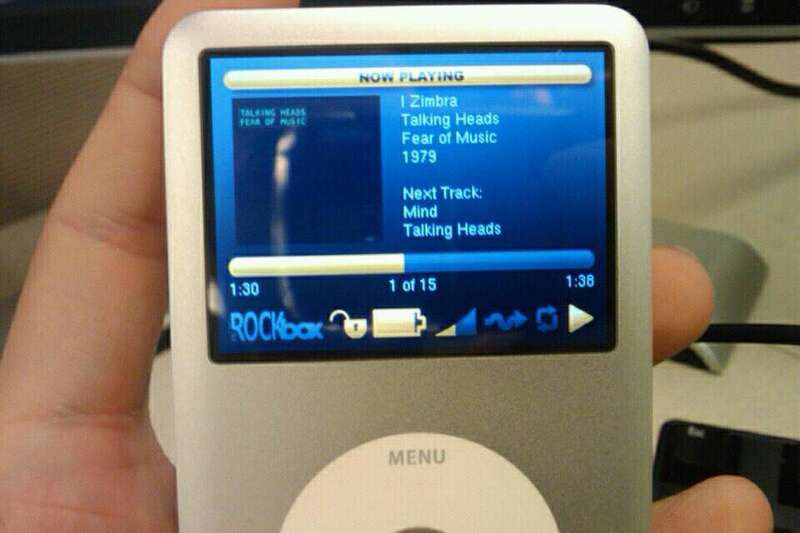 On a scale from 1 to 42, how close is a stable RockBox release with a working bootloader? @Jo: for all up-to-date details on Rockbox, try the rockbox.org site or the rockbox-dev mailing list or even the #rockbox IRC channel. @Matthew: don’t lose all hope too quckly; remember that the 80gb 5.5gen ipod was completely unsupported for a long time due to a HD compatibility issue too. AFAIK the toughest hurdle for porting rockbox to the iPod classic line is now behind us, all we need now is to give the devs a little patience and encouragement and before too long all models will probably work great.